It's Day 2 of the Beautiful Blogger Backyard series (Didn't you just love Eclectically Vintage's outdoor space?) and I have double the inspiration today thanks to Bridget and Casey of DIY Playbook. My husband and I live in downtown Chicago where outdoor space is a hot commodity. Even though we have a small, strangely-shaped back balcony, we've made the most of the space this summer. We added lots of flowers, a lounging area, and garden stools for even more seating. We love spending time out here grilling, playing games, and sipping on cocktails in the evening. It just goes to show that you don't need to have a large backyard to enjoy the outdoors! Bridget's patio is another great example of using what you have to your advantage. Check out that striking brick wall she used as the backdrop of her relaxing and feminine outdoor space. She added touches of whimsy (hello little gnome!) and brass and pastels in such a lovely way. If only summer could last forever! My husband and I live in a suburb just outside of Chicago and are fortunate to have a patio and a backyard to call our own. We added a big 'ole grill and lots of comfortable seating to this space so we can entertain family and friends as much as possible. My husband and I are both teachers and are both off for the summer so we are really trying hard to get out and enjoy this colorful and relaxing space as much as possible... even if it means the to-do list isn't completely done for the day. 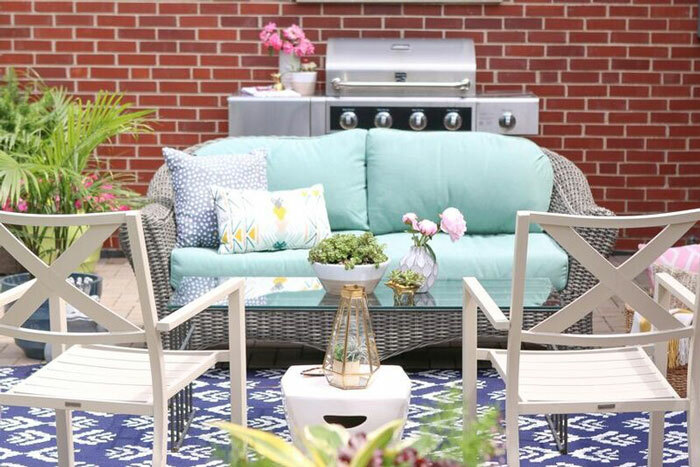 Before we know it, the summer will be over and we'll be hauling furniture back inside before Chicago's winter so making the most of this relaxing space NOW is top on our priority list. Want to see more? Pop over to DIY Playbook to see more photos and details of both of these wonderful exteriors. More outdoor inspiration on tap for tomorrow - see you then! Love this series! So much eye candy and inspiration. 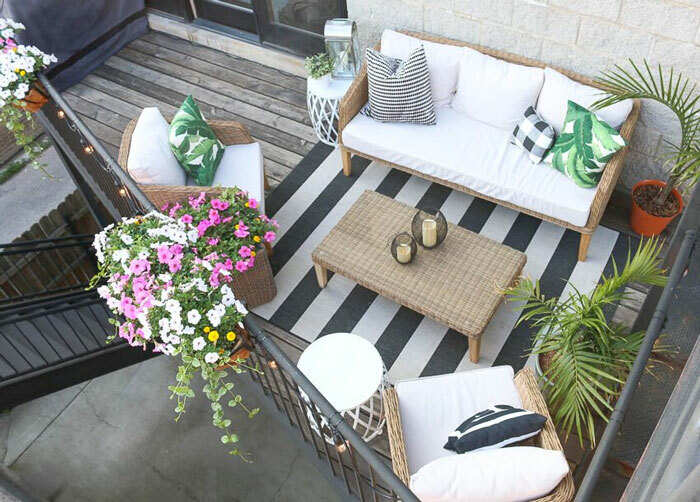 Thanks for sharing our outdoor spaces Stefanie! So honored to be a part of this series!